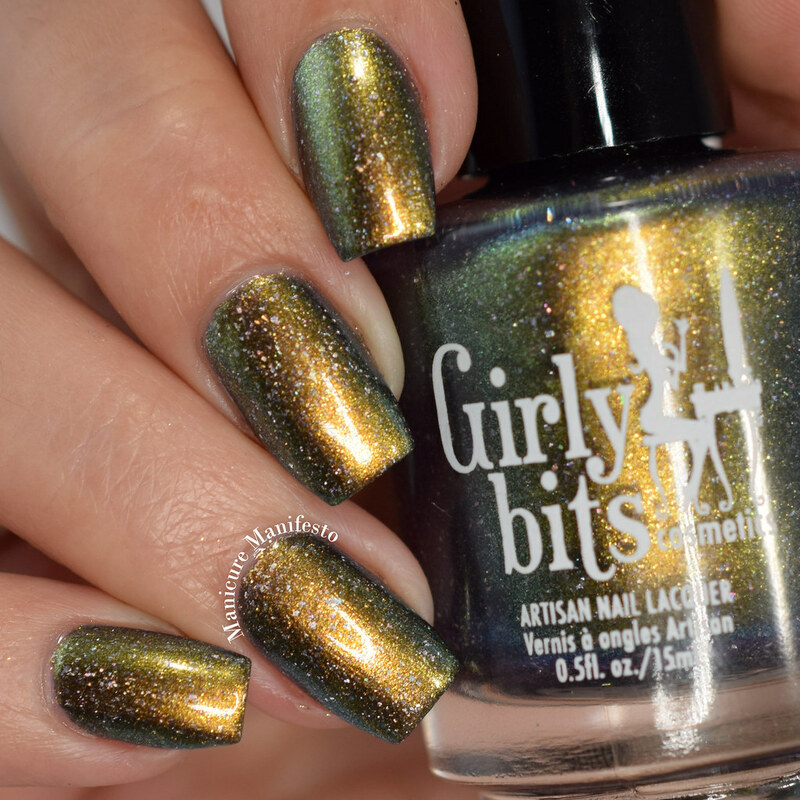 Today I have the three new shades that Girly Bits is bringing to Polish Con 2017 in Chicago to share with you. The two LE shades What The EL? 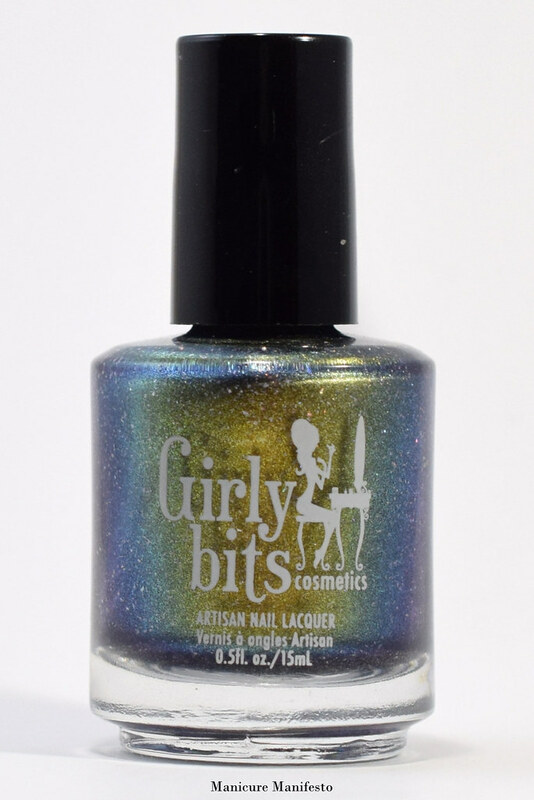 and Chicago Fair-ever will also be available on the Girly Bits website after the event, but the exclusive, Bean Me Up Scotty, will only be available at Polish Con itself. Let's take a look at swatches so you can start writing your shopping lists. What The EL? 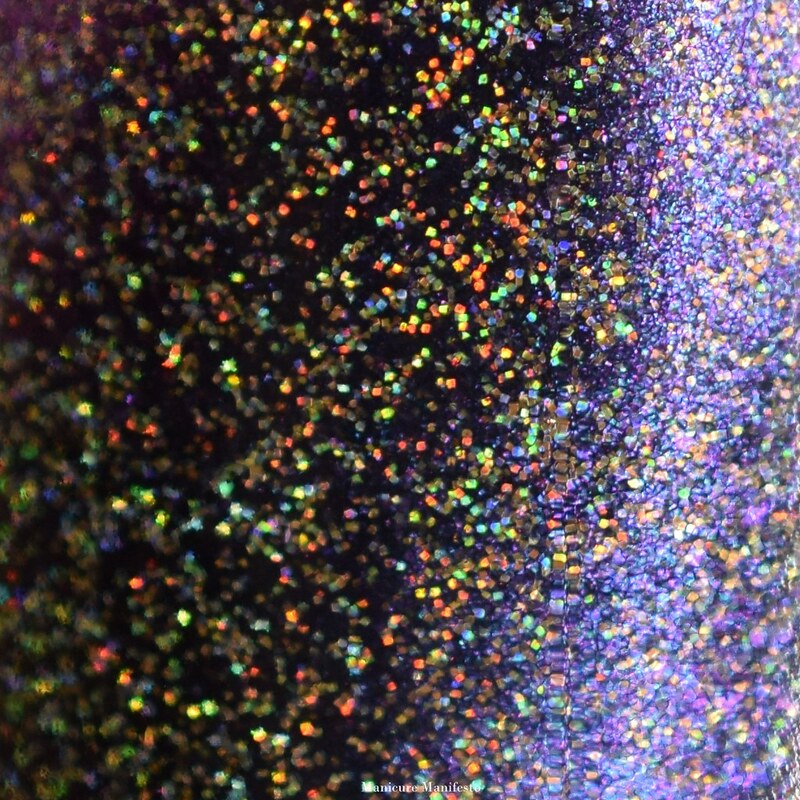 is a bronze to khaki green to blue-ish green shifting multichrome with small holo silver flakes. In some lighting the predominant colour switches to a burnished bronzey shade. It's hard to describe so hopefully my photos do a better job than words. The formula was easy to work with. I recommend three thin coats. At first I did two and it looked complete opaque. The I looked at it under different lighting and a couple sheer spots became very obvious. So, three coats for safety. 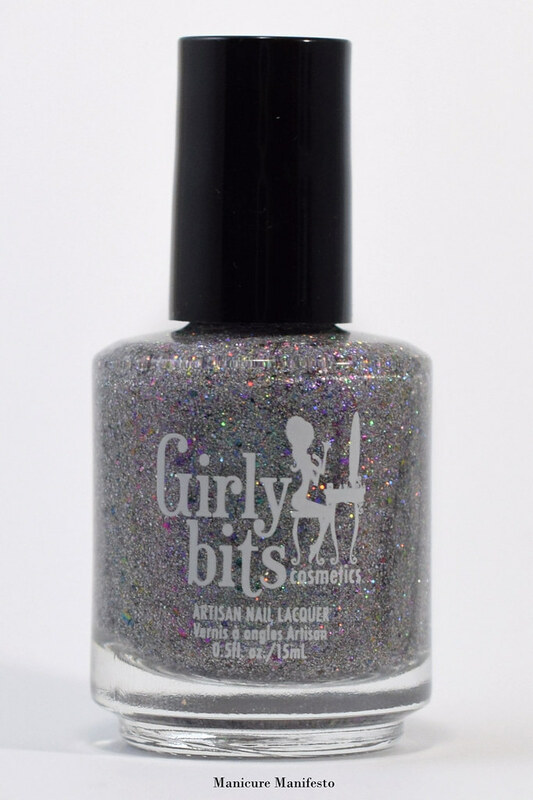 This dries relatively shiny, but top coat really brings everything together for a perfect smooth shifty finish. Photos show three coats of What The EL? 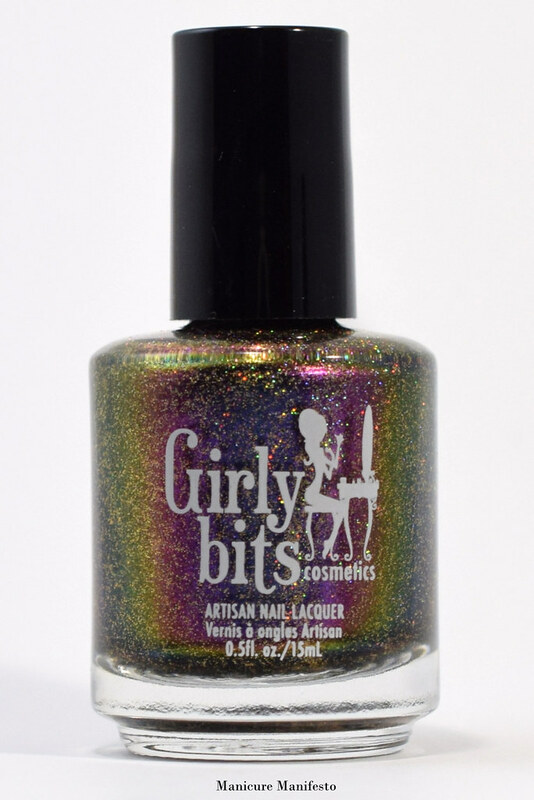 with one coat of Girly Bits Cosmetics What A Rush top coat in daylight spectrum lighting. ... and a couple more to show off the shiftiness. 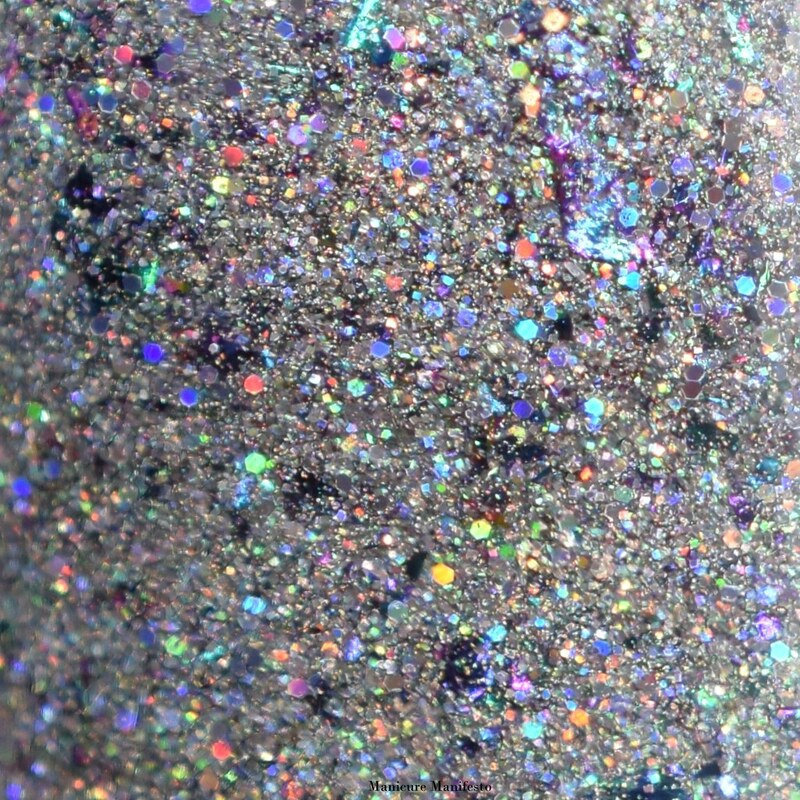 Chicago Fair-ever features a sheer blackened base with a strong purple to cobalt to teal shifting shimmer and lots of tiny gold holo glitters. The formula was very easy to work with. It appears quite sheer after the first coat but layers nicely becoming opaque in two. 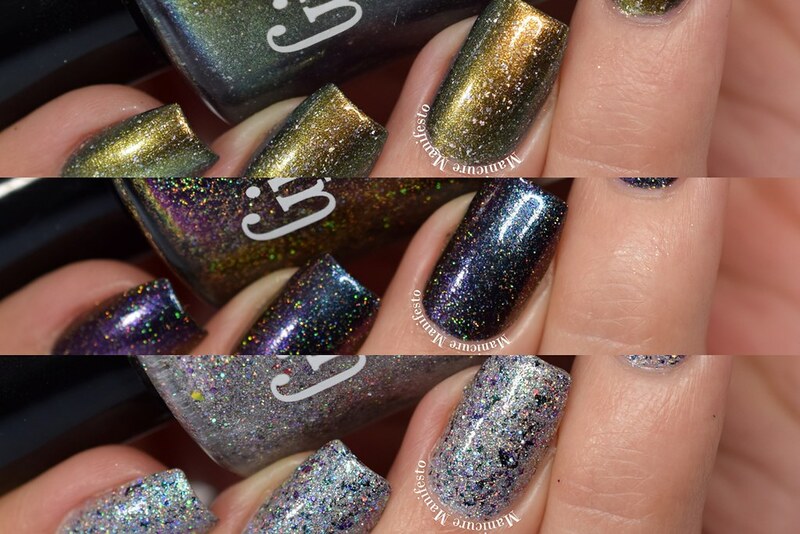 Photos show coats of Chicago Fair-ever with one coat of Girly Bits Cosmetics What A Rush top coat in daylight spectrum lighting. 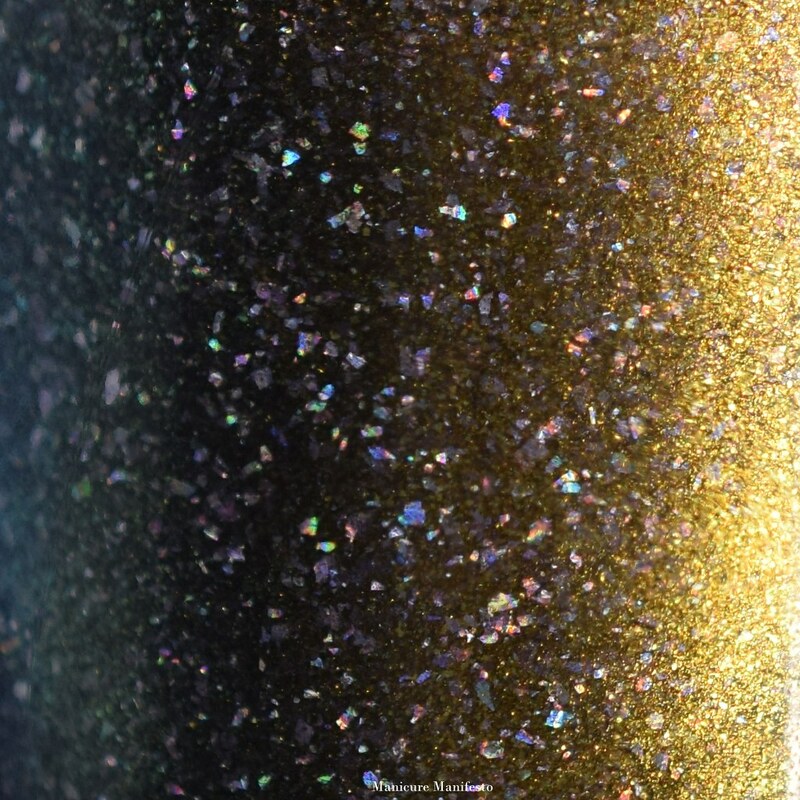 Bean Me Up Scotty features a clear base packed with silver shimmer, holo silver flecks and glitters, and teal to purple shifting metallic flakies. Every so often I catch a hint of a turquoise flash too. The formula was a tad thick but still relatively easy to work with. This shade is 90% opaque after two coats. If you have shorter nails or a less distinct nail line you can probably stop there. I added a third just to be safe. 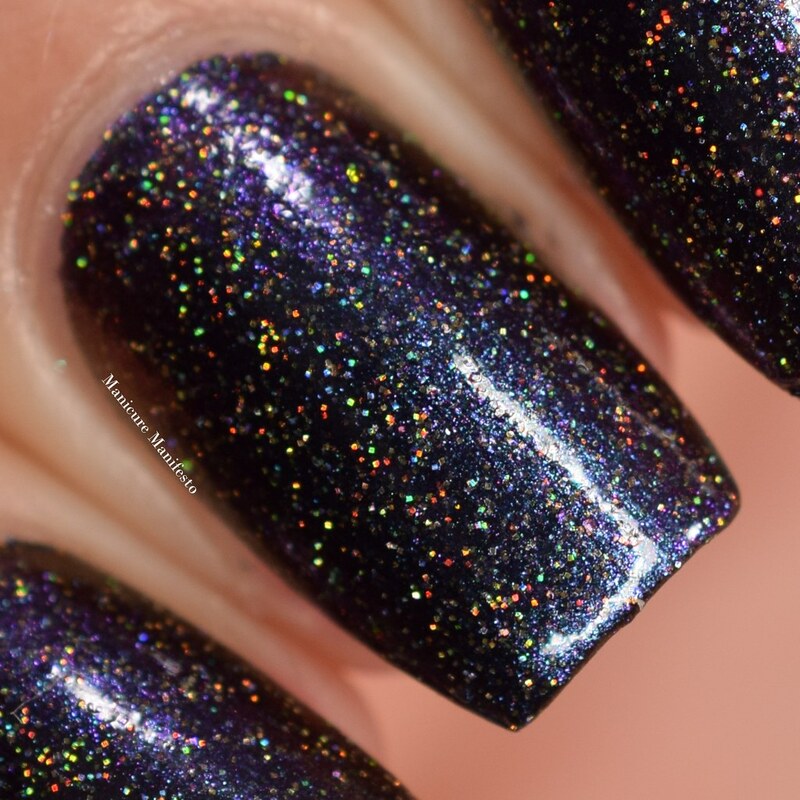 You're going to want to top coat this one to even everything out. One coat of a thicker top coat is enough for a smooth finish. 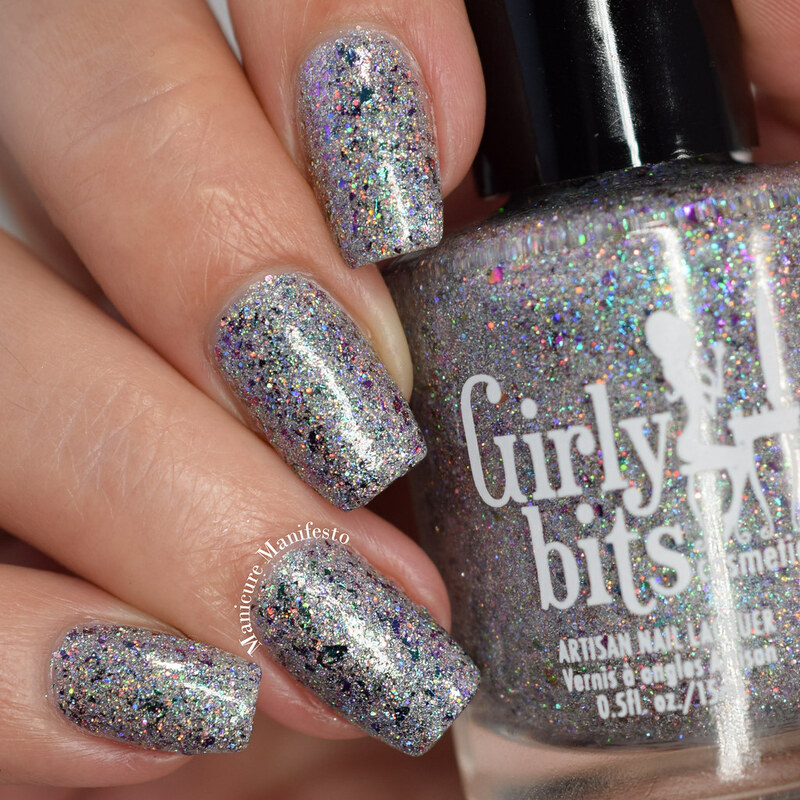 Photos show three coats of Bean Me Up Scotty with one coat of Girly Bits Cosmetics What A Rush topcoat in daylight spectrum lighting. ... and a couple more because it's just so pretty!